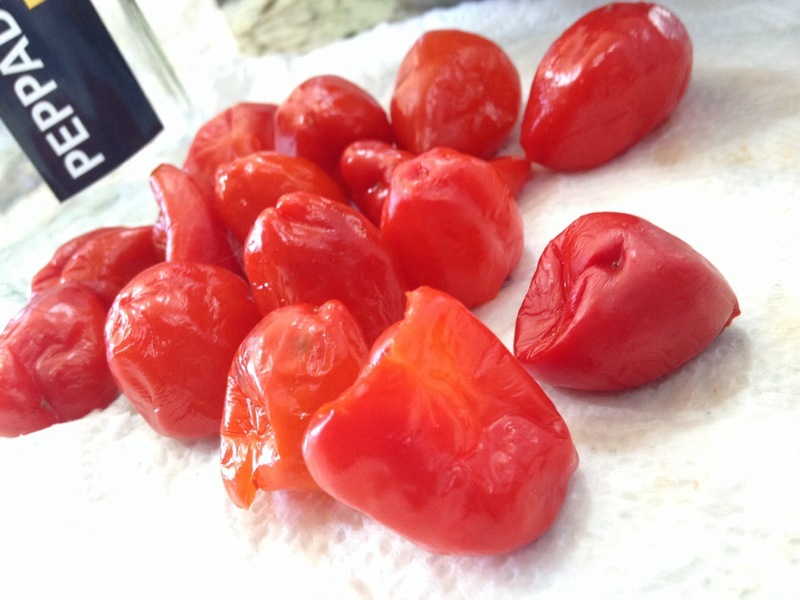 #1 Cook: Stuffed Peppadew Peppers! Have you ever raised two triumphant, celebratory hands into the air after achieving something awesome? When I popped one of these little poppers into my mouth for the first time I couldn’t stop an unanticipated, “Woo!”. I looked like a runner crossing the winning tape at a marathon. Continuing my journey through Vegan! Over 90 mouthwatering recipes for all occasions, I definitely found a winner in these stuffed peppadew peppers! I spent quite a while stuffing these little baby peppers, but boy was it worth it. 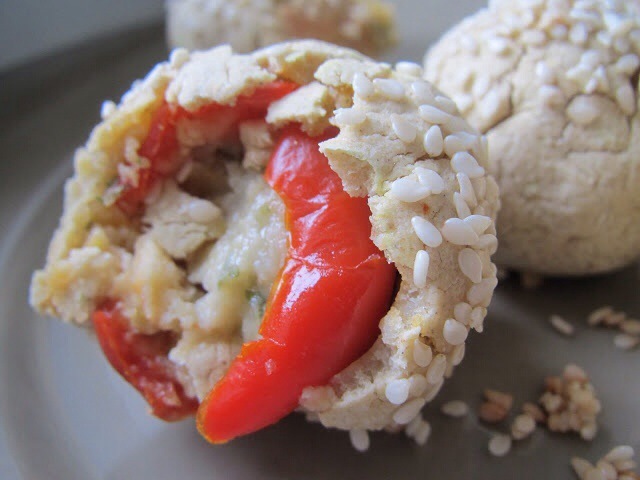 My first attempt at this recipe was explosive on the taste buds, but not so easy on the eye. At first the batter was too thick and sticky, then too runny. You only really get one shot with batter – too thick it turns into dough and even adding more liquid won’t really save it. I tried that anyway any my batter slid off my poppers. Nevertheless, they tasted delicious! 1. Grease baking sheet. Preheat oven to 350°F. 2. 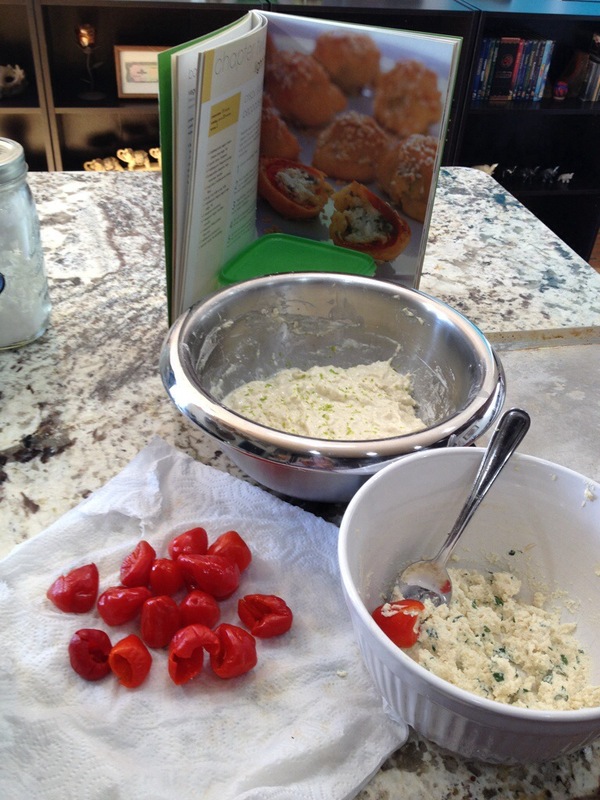 Place the cream cheese, garlic, and parsley in a bowl and mix together. 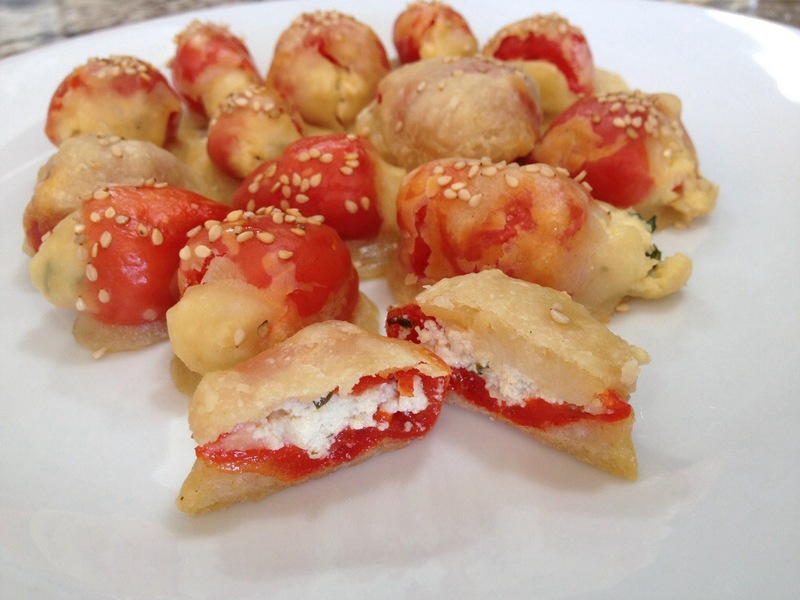 Put a teaspoon of cream cheese into each pepper. 3. Mix the flour, milk, yogurt, arrowroot, bouillon, and lime zest into a stiff batter. 4. 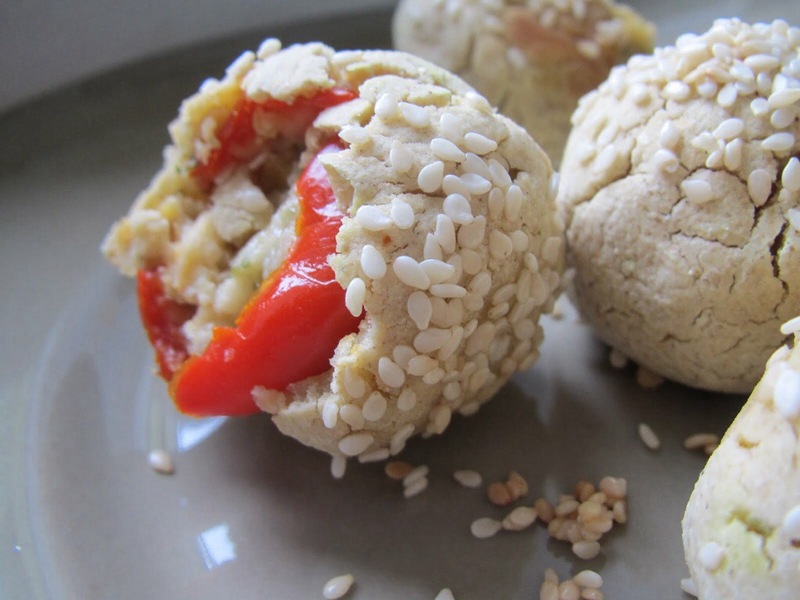 Dip each pepper into the batter to coat the outside, then roll in or sprinkle with sesame seeds. 5. Bake for about 7 minutes. Baste with coconut oil, then bake another 7-10 minutes, until crisp. The second time the batter came out much better. I bumped up the milk and the batter came out the right thickness. It should be a stiff batter, not a dough.